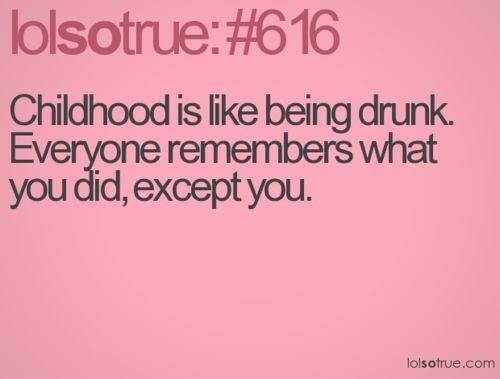 LOLSOTRUE: #616 CHILDHOOD IS LIKE BEING DRUNK. EVERYONE REM - ProudMummy.com the Web's Community for Mums. LOLSOTRUE: #616 CHILDHOOD IS LIKE BEING DRUNK. EVERYONE REMEMBERS WHAT YOU DID, EXCEPT YOU.